Virgin Atlantic has unveiled details of its UK domestic service, which is being called, Little Red. It will launch on 31st March in Manchester, 5th April in Edinburgh and 9th April in Aberdeen, with a total of 26 daily services to Heathrow. Little Red will be Virgin’s first ever domestic flights in the UK. Virgin won key Heathrow take-off and landing slots after Bmi was taken over by IAG last year. Virgin hopes these domestic flights will feed traffic onto its international service. Virgin says Little Red will compete with BA on domestic air routes. BA operates around 52 daily flights between Heathrow and Aberdeen, Edinburgh and Glasgow. BA also runs services to Scotland from Gatwick and London City airports.Apparently Virgin has partnered with a number of brands “to offer exclusive products on board including Irn Bru on Scottish flights, plane shaped Tyrells crisps and Bacardi Martini miniatures. It will later offer Krispy Kreme doughnuts, yoghurts from The Collective Dairy and Rude Health granola” ! Why ?! Virgin Atlantic has unveiled details of its UK domestic service, including that the operation is called Little Red. It will launch on 31 March in Manchester, 5 April in Edinburgh and 9 April in Aberdeen, providing a total of 26 daily services to Heathrow airport. 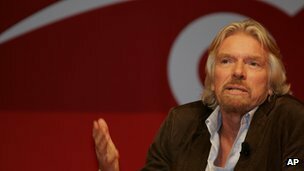 Sir Richard said on Friday that Little Red will “go head-to-head with BA to provide domestic flights that deliver Virgin Atlantic’s rock and roll spirit as well as real value for money. Virgin Atlantic is to call its soon to launch domestic airline services Little Red as it looks to take on BA in the region. Little Red will be Virgin’s first ever domestic flights in the UK and aims to deliver Virgin Atlantic’s “rock and roll spirit,” the airline said. Little Red will offer free check in luggage up to 23kg, pre-assigned seats and complementary food and drinks including snacks and hot breakfasts on early morning flights. It has also partnered with a number of brands to offer exclusive products on board including Irn Bru on Scottish flights, plane shaped Tyrells crisps and Bacardi Martini miniatures. It will later offer Krispy Kreme doughnuts, yoghurts from The Collective Dairy and Rude Health granola. Sir Richard Branson says the new service will challenge BA’s “monopoly” of UK flights from Heathrow since its acquisition of bmi by parent company IAG. It also aims to offer passengers more flexibility to connect with Virgin Atlantic’s international flights. The launch will be the supported by press, social, outdoor, digital and radio activity. It will fly 26 daily flights between London Heathrow, Manchester, Edinburgh and Aberdeen. Virgin announced it was to launch flights between Scotland, Manchester and Edinburgh in December. Virgin Atlantic has set out details of its plans to compete with British Airways on Heathrow links with Scotland. It is to fly six round trips between the London airport and Edinburgh, with three round trips linking it with Aberdeen. The airline says 150 people will be employed as a result of the move. Virgin Atlantic will take over landing slots from BMI, after it was bought by British Airways owner, IAG. From 31 March 2013, the planes are to be operated by Aer Lingus, but will be in Virgin Atlantic livery. Scheduling is intended to appeal to business travellers wishing to spend a day working in either capital city, with departures from 06.40, as well as linking to international flights in to and out of Heathrow. Having already committed to fly Heathrow to Manchester, this is the start of short-haul flights for Virgin Atlantic. It has seen the opportunity to compete with its long-time British Airways rival, after regulators required it to give up slots to ensure competition is retained on Heathrow’s links to Edinburgh and Aberdeen. As BMI had given up its Glasgow-Heathrow route, regulators did not insist on competition on that route. However, an assessment by the European Commission found there has been a significant increase in British Airways fares on the Glasgow route since BMI withdrew early in 2011. 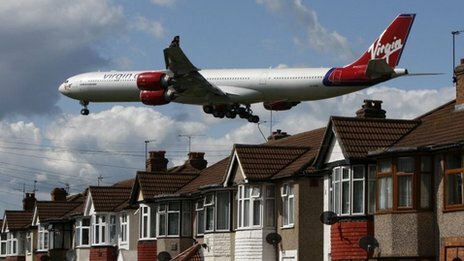 Steve Ridgeway, chief executive of Virgin Atlantic, said British Airways’ monopoly on the Heathrow links is causing “serious consumer harm” which his company intends to challenge. “Virgin Atlantic will offer millions of passengers in Scotland and Manchester connections around the world through our and our partners’ long-haul network, with the additional benefit of providing direct services to and from London Heathrow,” he said. Scotland’s Deputy First Minister, Nicola Sturgeon, welcomed the Virgin Atlantic plans, adding: “We are still concerned about the absence of competition on the Glasgow-Heathrow route, and will continue to promote its re-introduction, as well as our desire for better direct international connectivity. Scottish Secretary Michael Moore said: “These services operating from Edinburgh and Aberdeen will provide direct links to and from London Heathrow, as well seamlessly linking into Virgin’s long-haul network creating new links between Scotland and the rest of the world. Posted: Friday, March 1st, 2013. Filed in General News, News about Airports, Recent News.